Each week, Harper’s Bazaar UK interviews a successful woman to find out how she made it to the top and to get tips on maintaining a successful work-life balance. I am so honored that they included this interview about my position as creative manager of group fitness programming at Equinox. This is an excerpt from the PT Advisor: Expert Roundup: What’s the #1 Mistake Fit Pros Make in Marketing? “The #1 marketing mistake fitness pros make is underestimating the value of social media. Not only does it help to build a fitness brand, it also creates a professional image. Engagement on social media is important. Amy Dixon was recently awarded IDEA Fitness Instructor of the Year in 2015. She owns and operates multiple successful fitness businesses and has created a huge following from her OWN shows. Thank you The Fitness Business Podcast for the opportunity to share my tips! Is it too soon to start thinking about 2016 ‪‎Fitness Trends‬? Not at all. Does your favorite make the list? 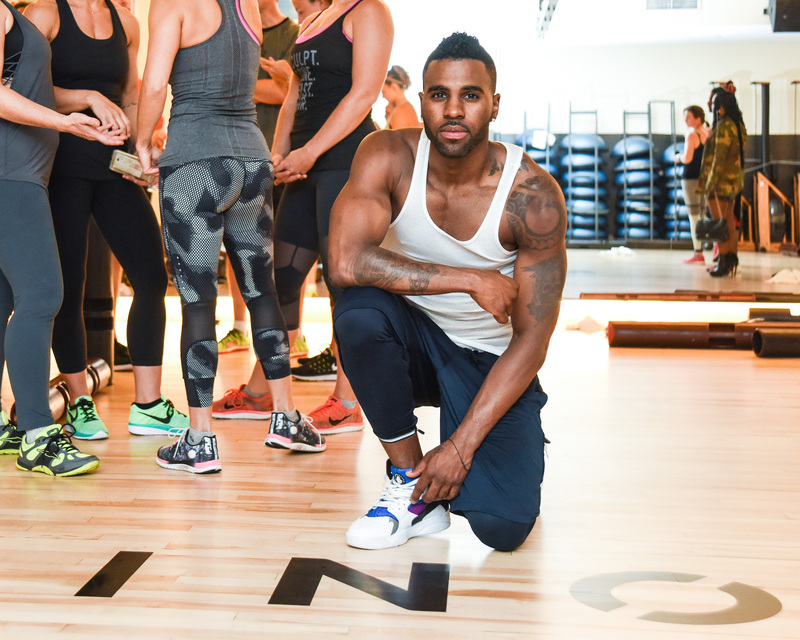 On Thursday, October 1st, ‪#‎Equinox‬ West Hollywood welcomed musician Jason Derulo and special guests for a sneak peek preview of Fully Loaded, an innovative new signature group fitness class at Equinox. As a member who is both loaded with talent and loaded with moves, Jason jumped on the opportunity to be the first to try it, while Amy Dixon, Equinox Group Fitness Creative Manager, showed guests how we get Fully Loaded at Equinox. You can read about it on People.com here, too. How does one take the jump from University of Utah student working on a master’s in audiology to nationally-recognized and award-winning fitness instructor? Simply move to Los Angeles and make it happen. 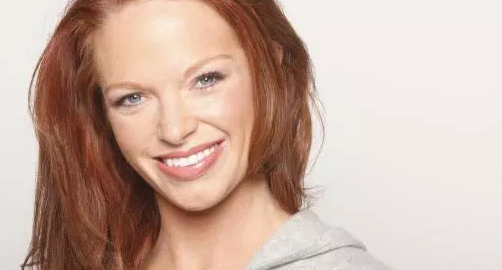 That’s exactly how it worked for former Weber High cheerleader Amy Dixon (née Hansen), who vacated her spot in the audiology program at Utah to be with her husband and pursue her dream career as a fitness instructor in 2000. Dixon has since become a fitness icon, starring in three award-winning fitness DVDs and serving as the spokesperson for Reebok, Special K cereal and Just Dance 2014, Nivea Cosmetics and Seattle’s Best Coffee. She is currently a consultant for Gatorade and Propel. Dixon’s accomplishments have helped her to be featured in magazines and publications including Women’s Health, Shape, SELF, Health, FITNESS, Better Homes and Gardens, Marie Claire, Variety, In Touch Weekly, US Weekly, American Fitness, Shape Germany, The New York Times, The Washington Post, The Huffington Post, The Los Angeles Times, and the IDEA Fitness Journal. She has also made television appearances on The Today Show, ABC News, E! Entertainment Television, Good Day LA, Custom Fit, Exercise TV, Your LA, Fox News, Inside Edition and MTV and is considered a Master Trainer and international program developer for Schwinn® Cycling, BOSU®, GRAVITY®, and SHOCKWAVE®. IDEA is the world’s largest association for fitness and wellness professionals. Becoming a fitness instructor has always been an aspiration for Dixon, who grew up watching fitness celebrities on television and engaging in their workouts. Dixon always thought she could be a fitness instructor, although not to the level she’s ultimately achieved. After graduating from Weber in 1994, Dixon enrolled at Weber State with the intent of becoming a secondary education teacher – not necessarily because she really wanted to, but because it was the career many around her had chosen. “My brother, my mom, my sister, my dad – every single one of my friends was a school teacher or a nurse,” Dixon said. Dixon figured she would become a cheerleading coach and teach group fitness on the side. The first day of orientation at Weber State arrived and Dixon found herself doing something she never did – sitting in the back of the classroom. “I’m not a front-row sitter, but I was hanging back,” Dixon said. Within moments, Dixon knew what she had to do. She stood up, walked out and immediately changed her major to exercise physiology. Four years later, Dixon graduated. But then she found she couldn’t use her degree, so she started taking classes at the University of Utah and was eventually accepted into their master’s program for audiology – a program that only admitted six people. Then Dixon’s husband, Jeff, who graduated from Utah with a degree in film study, got an internship in Los Angeles. Dixon knew in that moment that once her husband left for Los Angeles he could never come back, because coming back would be perceived as a step down. So Dixon left as well, dropping her master’s degree and moving to Los Angeles to be with her husband and continue pursuing her career in the fitness industry. After arriving in Los Angeles and beginning work at a gym called Bodies in Motion, Dixon was introduced to fitness icon Misty Tripoli who then introduced her to another fitness icon, Petra Kolber. Kolber eventually hired Dixon at Equinox, a high-end global fitness chain. Dixon was later introduced to fitness instructor Jay Blahnik, now the Director of Fitness and Health technologies for Apple, Inc. Blahnik personally recommended Dixon to the IDEA Fitness Instructor of the Year Selection Committee. Dixon’s brother and current Weber High girls basketball coach Mark Hansen believes the Instructor of the Year accolade is impressive particularly because she was able to achieve it despite coming up short as a finalist for the same award in 2014. According to Dixon’s mother, Nancy Hansen, Dixon’s ability to accomplish so much since moving to Los Angeles is indicative of how her whole life has been. Even Hansen is astounded by all the achievements. Amy Dixon stops by Good Day LA to show Maria how to get a body that will look good in a bikini. Amy uses her latest techniques that incorporate interval training, where you burn more calories than traditional workouts. Amy’s new DVD “Breathless Body” is available now through her website, and has been named as one of the top 10 hottest workout DVDs by Fitness Magazine. © 2019 - Amy Dixon Fitness. All Rights Reserved.